Thyroid disease is a worldwide reality with around 200 million people suffering from some form of it. Thyroid disorders for the most part are treatable; however, if left undiagnosed and untreated, they can cause undesirable conditions such as: depression, tremors, muscle weakness and constant fatigue, which negatively impacts daily life. What is the role of the thyroid in the body? Your thyroid gland is a small butterfly-shaped gland that is located in the front of your neck. Its butterfly shape owes to the two wings represented by the left and right thyroid lobes that wrap around the trachea. The thyroid’s main role in the endocrine system (made up of glands that produce and secrete hormones that regulate the activity of cells) is to regulate your metabolism. Metabolism is simply your body’s ability to break down food and convert it to energy. Food essentially fuels our bodies, and our bodies burn that fuel at different rates. This is why you often hear about some people having “fast” metabolism and others having “slow” metabolism. The thyroid keeps your metabolism under control through the action of thyroid hormone, which it makes by extracting iodine from the blood and incorporating it into thyroid hormones. Every other cell in the body depends on the thyroid to manage its metabolism and proper functioning. What are the main thyroid conditions? Goiter: is the swelling in the thyroid caused by iodine deficiency and are usually harmless. Thyroiditis: is the inflammation of the thyroid, usually from a viral infection or autoimmune condition. Thyroiditis can be painful, or have no symptoms at all. Hyperthyroidism: is the excessive thyroid hormone production. People with hyperthyroidism are often sensitive to heat, hyperactive, eat excessively yet may experience weight loss. Goiter is sometimes a side effect of hyperthyroidism. This is due to an over-stimulated thyroid and inflamed tissues. Hypothyroidism: is the low production of thyroid hormone. If you have hypothyroidism as an adult, you may experience sensitivity to cold, little appetite, overall sluggishness and difficulty in losing weight. Hypothyroidism often goes unnoticed for years, before being diagnosed. Thyroid cancer: is an uncommon form of cancer that is usually curable. Surgery, radiation, and hormone treatments may be used to treat thyroid cancer. It is important to remember that everyone’s metabolism works at a different speed. The higher your metabolic rate, the more calories you burn performing bodily and chemical processes. A fast metabolism can help with weight loss, as it means you can eat more calories while still burning fat and dropping weight. While a slow metabolism may not be helpful when trying to lose weight as it doesn’t burn calories as fast. Slow metabolism is the result of hypothyroidism. Thus, one of the most noticeable symptoms of hypothyroidism is weight gain and difficulty losing extra weight. Why do more women suffer from hypothyroidism and weight gain? This is because women spend much of their lives dieting, usually in a yo-yo cycle of feasting and then fasting. This undermines their metabolism and decreases metabolic rate. Women tend to internalise stress, which affects their brain and thyroid function, resulting in increased cravings for sweets and simple carbs to provide instant energy and feel good hormones. Women experience monthly hormonal fluctuations that affect their biochemistry. The New Year brings a new opportunity to learn more about your body and safeguard your health. January is Thyroid Awareness Month and its improved public awareness will enable patients and families to cope more effectively with this illness. The aim of this campaign is for individuals to be better equipped in alerting their physicians to a suspected thyroid condition that may otherwise be difficult to diagnose during the initial phases. So we urge you to take charge of your body and ensure regular checkups. The relationship between thyroid and weight management is complicated. Often times the metabolic burn rate continues to fall as calories are reduced when dieting. 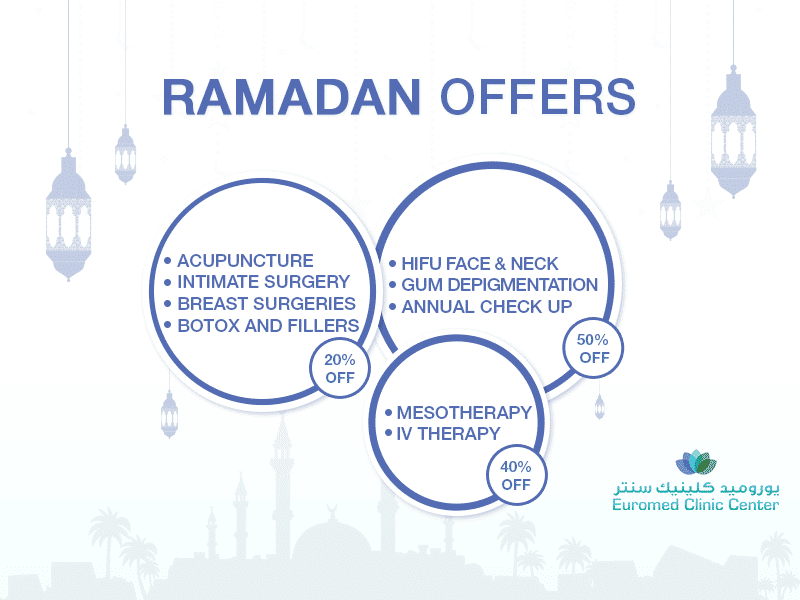 That’s why at Euromed, one of the best clinics in the Dubai, we look at the individual needs of each patient and treat them accordingly. This is the motto of Dr. Hoda Makkawi, a family medicine, holistic and anti-aging specialist, who brings more than 15 years of experience and a host of top doctor awards to her name. The success behind her practice is found through a holistic, natural approach that considers thyroid function as an integral part of your overall hormonal balance and health. Book an appointment with Dr. Hoda and get checked today!